Home > Archives > F40 No. 210 and Amfleet cars. F40 No. 210 and Amfleet cars. F40 engine No. 210 and new Amfleet cars. 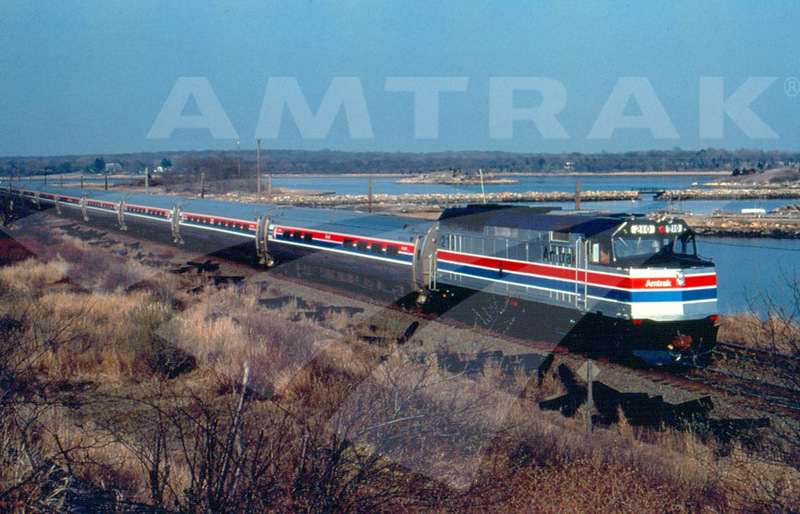 F40 type locomotive and Amfleet cars in a train.